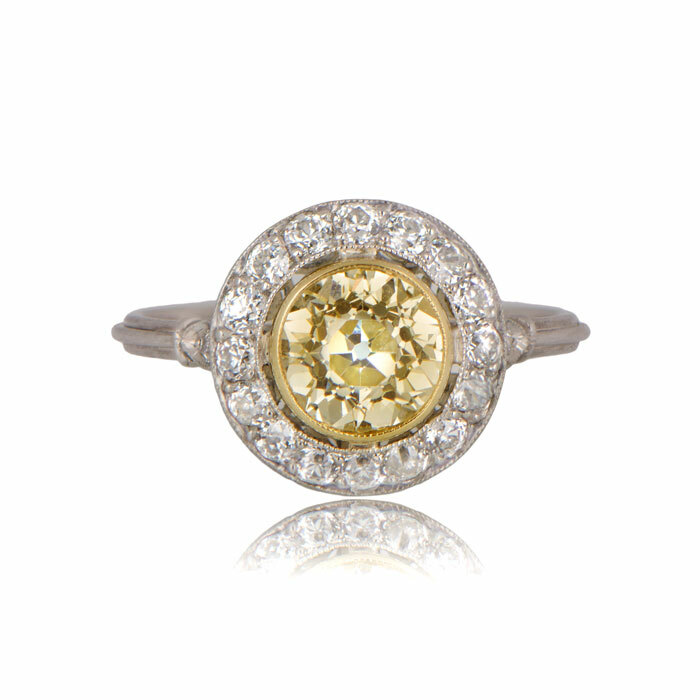 A beautiful and rare yellow diamond, bezel set in a gold and platinum mounting. 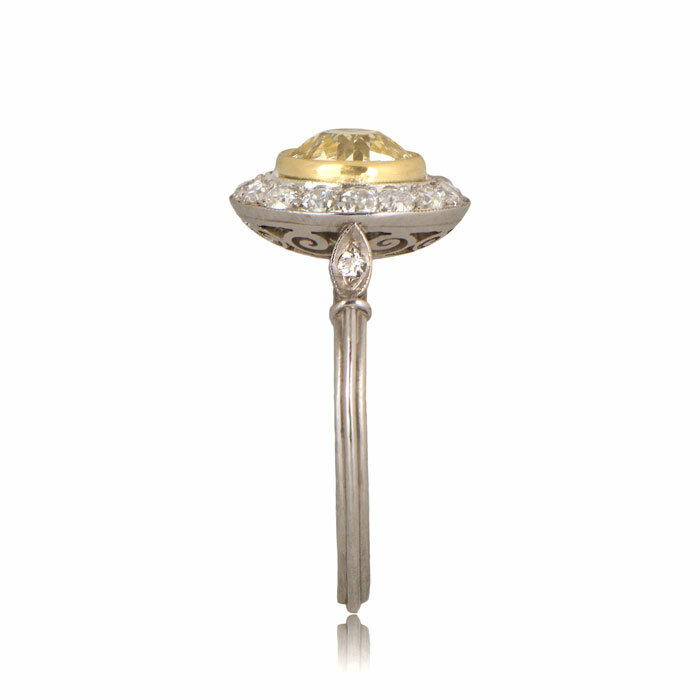 A halo of antique diamonds surrounds the center diamond. Two diamonds adorn the shoulders. Fine architectural filigree adds life to the bold under-gallery. 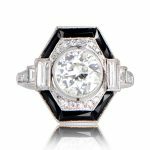 The center diamond is a fancy light yellow antique old European cut diamond with an approximate weight of 1.38 carats and a SI1 clarity. 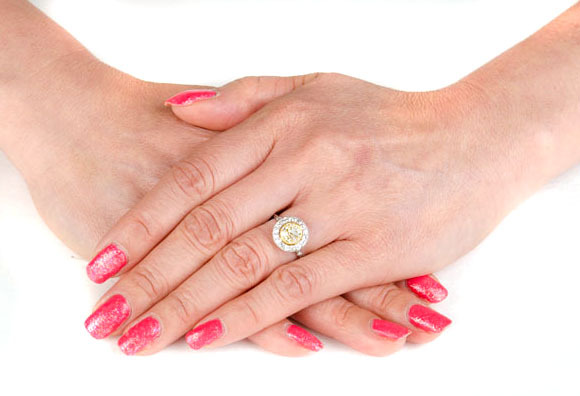 An additional 0.62-carats of diamonds surrounds the center stone, with a total carat weight of 2.00-carats. The approximate dimensions of the center diamond are 7.50mm x 7.50mm and the entire top is 11.8mm x 12.2mm. 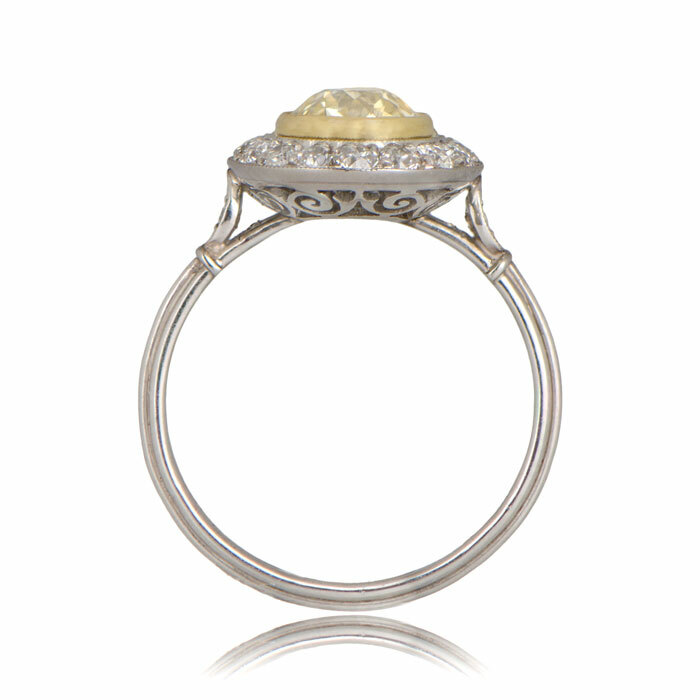 The antique diamond was cut circa 1920. 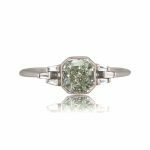 SKU: 11467 Categories: Fancy Diamond Rings, Old European Engagement Rings, Vintage Engagement Rings - Contact us and request additional pictures.